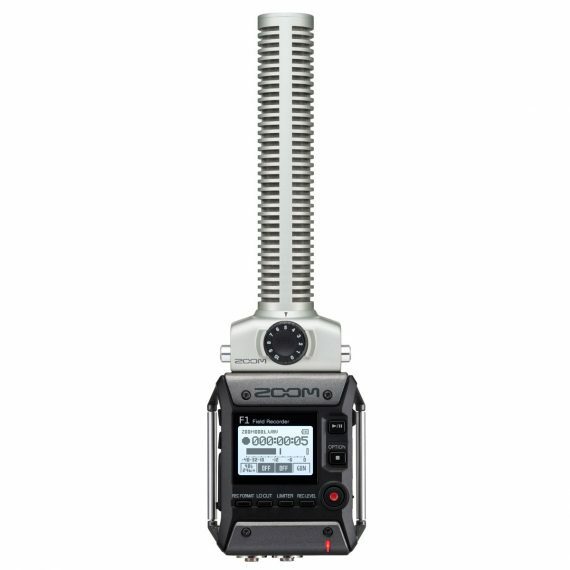 Zoom F1 Field Recorder + Shotgun Mic | Beau Photo Supplies Inc. The Zoom F1 Field Recorder + Shotgun Mic is the ultimate solution for run-and-gun filmmakers who need to capture professional quality audio for video. The F1-SP comes with the SGH-6 Shotgun Mic known for capturing pro-quality, hyper directional sound, and it’s aluminum body makes it extremely lightweight. Combined with the F1, you can record high-resolution audio up to 24 bit/96 kHz, providing high-impact audio for any video production. While recording to your camera, the F1 can also record to a micro SD card, providing a stereo audio file which can be edited in post-production. The F1 records audio in WAV or MP3 formats. WAV files are automatically time-stamped, making them Broadcast Wave Format (BWF) compliant.